Moldova’s increasingly popular Chisinau main gateway airport is enjoying a much-needed renovation boost, despite fears of alleged corrupt ownership practices at the airport, which is being managed under a controversial 49-year government concession contract. 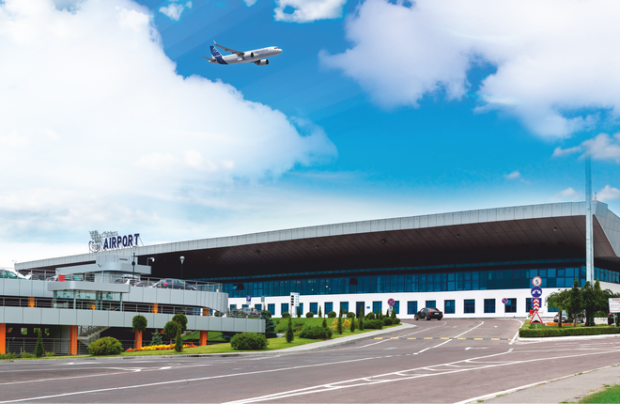 The substantial renovation work follows on from some significant performance improvements at the airport over the last five years, so that 15 carriers now operate scheduled services from Chisinau airport (IATA code: KIV) to 38 destinations in 17 countries. 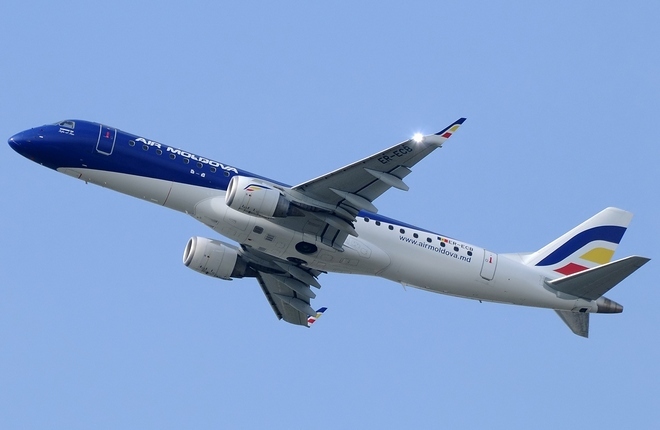 Six new carriers were attracted during 2015 and early 2016: LOT Polish Airlines, Ural Airlines (Russia), VIM Airlines (Russia), Volotea (Spain), Aegean Airlines (Greece), and Fly One (Moldova). Newly introduced destinations include Parma, Florence, Brussels, and Russia’s Voronezh. Frequencies were increased on several existing routes. Moldova is a country of modest means, and whilst it is currently on the cusp of both the pro-Russia and pro-EU development opportunities, the nation is especially interested in the fortunes of its hard-currency-earning aviation enterprise – and developing Chisinau airport is viewed as a top priority. Economically, the country has not been doing particularly well of late: it ranks 131st in the world by purchasing power parity, and among all the post-Soviet states, only Kyrgyzstan and Tajikistan fare worse. Hence the government’s keen interest in the future of the country’s main air gateway, which saw passenger numbers double from 1.04 million in 2011 to 2.22 million in 2015. One particular indication of that growing potential is Hungarian carrier Wizz Air’s plan to start using it as its base in the spring of 2017. Against this positive backdrop, and somewhat controversially, the airport is operated by Avia Invest, a Russian-controlled company which, in November 2013, was handed ‘ownership’ of the airport in an exclusive 49-year concession. According to the airport’s 2014 corporate statement, Avia Invest was initially co-founded by Russia’s Kolomna Plant, which manufacturers railway rolling stock and is part of locomotive manufacturer Transmashholding. The other co-founder was Khabarovsk airport, also located in Russia. It was later reported that Kolomna Plant had ceded its share in Avia Invest, and that Khabarovsk airport’s share in the company had been cut from 50 to five per cent. The new proprietor of 95 per cent of the shares in Avia Invest is Russian firm Komaksavia, owned by British entity TB Team Management LLP and registered at the same address as businessman Konstantin Basyuk Komaks’ managing company, the same Komaks which runs Russia’s Khabarovsk airport. The convoluted ownership of Avia Invest has prompted Moldovan media outlets to describe the concession deal as highly suspicious, and a number of local politicians and state officials have been calling for the contract to be cancelled or reviewed. Critics include Maia Sandu, a pro-European candidate at the latest presidential election, who insists that the concession agreement is in breach of the law, going on to describe it as part of “the fraud of the century” (also pointing the finger at an allegedly illegal withdrawal of $1 billion from the Moldovan banking system). Sandu says these are part of a “shady deal” about which the current government is refusing to provide detailed information. Avia Invest’s managers dismiss all these claims as populism: “The airport’s concession deal was the right and necessary step. In all the 24 years of the country’s independence, only around $10-12 million had been invested in the development of this strategic facility, whereas Avia Invest, in just under two years, has already invested four times more,” says an official statement. Moldovan journalists remain sceptical as to the agreement’s benefits to the country, though. They point to the fact that Avia Invest’s annual financial performance figures, including its revenues and taxes paid to the state, are not available on the company’s website. The only information accessible is in the form of press releases, which do not provide a full and clear understanding of the airport’s financial state and the sums invested to date. The airport’s passenger traffic in 2015 grew 25 per cent year-on-year and 68 per cent up on 2013. The improvements are attributable, it is said, from Moldova having joined the Single European Sky initiative in 2012, and by the lifting of the short-visit EU visa requirement for Moldovan citizens in 2014. Avia Invest insists that the ongoing project to modernise and develop Chisinau is already appreciated by passengers. The airport’s throughput capacity has been increased from 420 to 750 passengers per hour, the check-in area has been expanded two-fold to 1,100 square metres – and there are now 18 check-in counters and six passport control desks, served by 12 border guards. A new baggage processing system has been installed, as well as ultramodern lighting and improved air conditioning. As part of the modernisation, the airside area has been expanded by 900 square metres and fully renovated. “We increased the number of boarding gates and security checkpoints, which additionally improved the airport’s throughput capacity,” says Avia Invest, which adds that it has also fully overhauled all the networks and systems supporting the terminal operation. The most spacious multi-storied car park in the country, a four-level facility for 800 vehicles, has been erected opposite the airport terminal. Avia Invest has also been working to improve the airfield infrastructure, a project which embraces the comprehensive renovation of more than 500,000 square metres of airfield area, including the single 3,590 m by 45 m runway, as well as taxiways and apron areas. 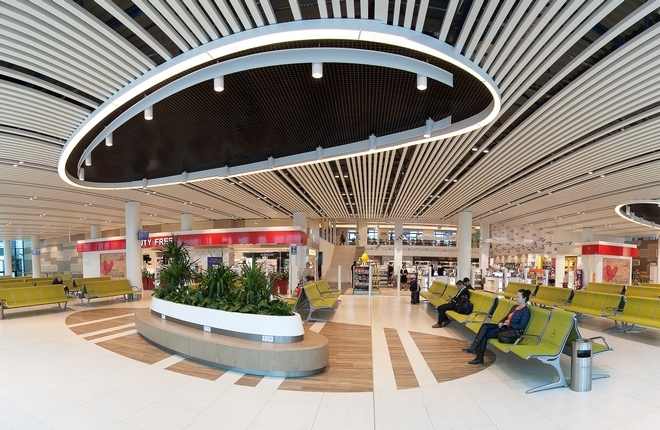 Avia Invest believes the renovation and development scheme, in combination with an effective new strategy for attracting additional airlines, are helping the airport to start offering new routes and increase the frequencies of existing services.